Anippon announces official SEGA Console Sneakers! Anippon, a Japanese game and anime licensed sneaker manufacturer, has announced today they will be launching 3 SEGA Console Sneaker models on October this year. A few of these models will be available at this year’s Tokyo Game Show before the release date. Each pair will be launched with a price of ¥ 7,500 (excluding tax). Sizes are the following: XS (23-23.5cm), S (25-25.5cm), M (27-27.5cm), and L (28-28.5cm). 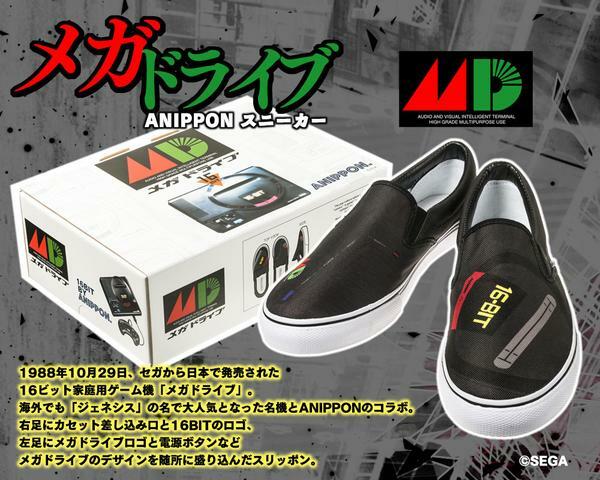 MEGA DRIVE ANIPPON SNEAKERS: Can be purchased here for ¥ 7,500 (excluding tax). 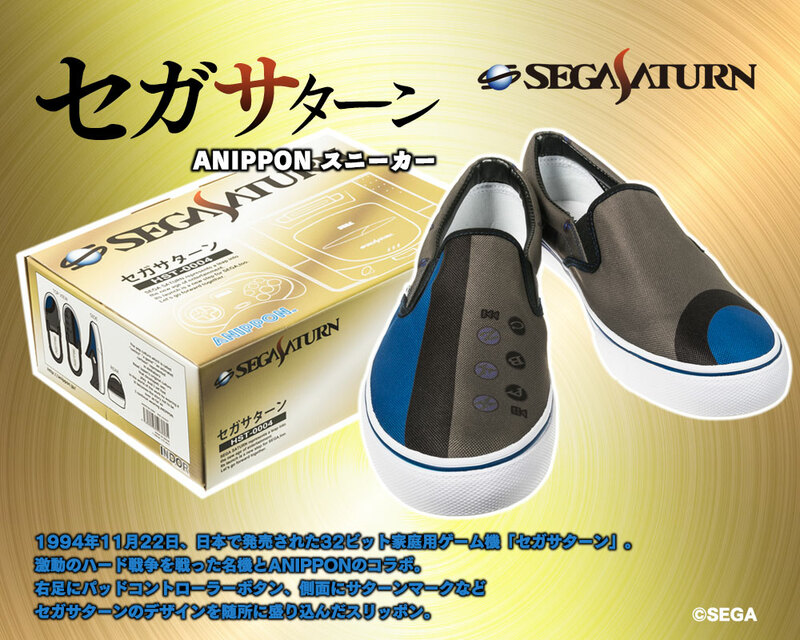 SEGA SATURN ANIPPON SNEAKERS: Can be purchased here for ¥ 7,500 (excluding tax). 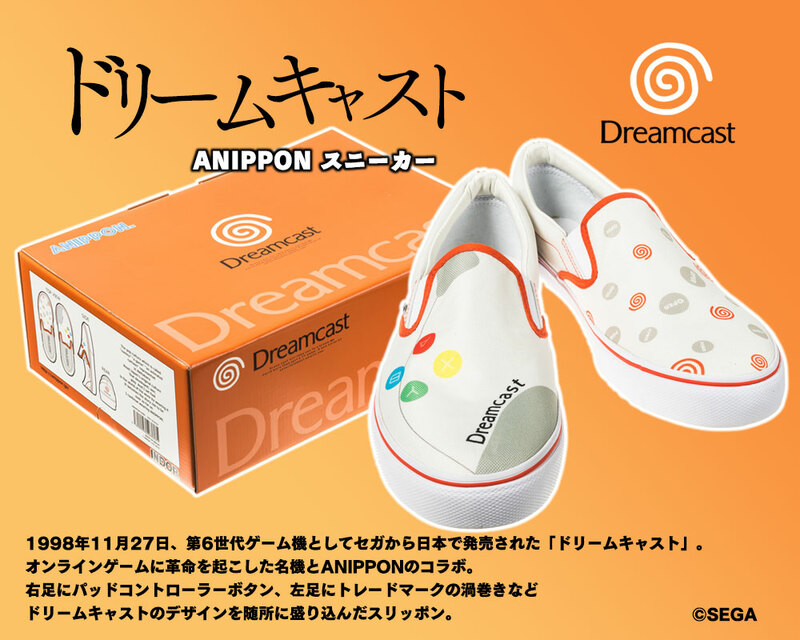 DREAMCAST ANIPPON SNEAKERS: Can be purchased here for ¥ 7,500 (excluding tax).